What Did A Summer In Industry Do For Me? In college I listened to a Ted Talk by a former teacher named, Rita Pierson. What she said in her Ted Talk moved me. I have always been a relational person but her message emphasizes the value of relationships in our classrooms. Rita talks about how learning cannot happen when children aren’t sure if the teacher cares about them or not. She says we ought to start with the simple things, like relationships. However, relationships aren’t a small thing, and they are also not always simple to form or to help grow. They take time, commitment, and sacrifice. As teachers we get hyper-focused on pushing curriculum or preparing our kids for tests instead of remembering that ultimately the soft skills are what will really make them successful in the real world. The list goes on. Every single person I spoke with talked about the value of soft skills that stem from having and forming positive relationships in our classrooms. So as teachers we have two essential questions we must answer daily. How do we create intentional space to build community in our classrooms? How do we encourage students to develop skills around maintaining positive relationships? Since every teacher’s situation is different I anticipate we all may have different answers to these same questions. I’m going to share a little bit more about how I create intentional space for community in my classroom as well as develop skills for maintaining positive relationships. One thing that I do before the beginning of every school year is re-watch this video by Rita. It reminds me the kind of teacher I want to be. I want to be firm but fair. I want to give feedback not criticism. I want to express my emotion in a way that honors the person on the receiving end. I want to challenge my kids to be the best the can be. I want them to be lifelong learners. I want my students to walk out of my classroom as more mindful and responsive people than when they first walked in. I want my students to know that they are cared for in and out of school. So far, I have successfully listed all the things that I want to achieve in a year. But it is also important that I get to know and understand what my students want to learn or feel in a year. I also think it is important that I provide opportunity for their voices to be heard in the classroom, if I hope to have a positive relationship with them. At the beginning of the year. I set aside a large amount of time for conversations around how we as students and teachers will create safe spaces for learning? I typically begin the conversation by asking what the ideal student would look or sound like? Then I ask what the ideal teacher would sound or look like? From that we are able to generate a list of norms for behavior. I think that their buy in for class norms is important! Notice I said norms and not rules. Rules typically come from top down (teacher to student), where as norms are what we can normally expect from each other (both teacher and student) that we spend time with on a day to day basis. This has been a fruitful way to start the year and helps as the year progresses to hold students accountable because they themselves had buy in, in how they expect each other to behave and respond in the classroom. But having norms isn’t enough. Having relationships is about vulnerability, openness, failure, and as I listed before about time, commitment, and sacrifice. As teachers we walk a thin line for what vulnerability looks like but I have tried to take some of the valuable wisdom I have received from over the years and share it with my students. A poem that I heard when I was 14 years old by Peter Dale Wimbrow Sr has developed in my heart and mind as a poem that can guide my actions and relationships. As I read this I think about developing authentic and genuine relationships with each of my students. I think about calling them to live lives of integrity and ingenuity. I think about working with students who understand that trials will come their way and staying true to themselves is their key focus. When I build relationships I want them to be real and lasting and the best way to do that is to encourage others to be their authentic selves. Daily morning meeting have really helped to grow and maintain relationships with students in my class. Everyday we greet one another. Acknowledgement is a big component of relationships. In this digital age it is nice to audibly hear hello and your name attached to it. It’s nice to shake hands and look someone else in the eye and say, “I’m glad you’re here today.” These little things matter. More than we realize most of the time. Morning meeting has been a great way to share and get to know a smaller subset of students. Many teachers will work with more than 60+ students a day. But by setting aside this time with a small group of 18 students each day. I am able to deeply get to know those students and be a strong advocate and support system for them. Morning meeting is also a space for students to address their day to day challenges. This is where I combat things like bullying, dishonesty, and distrust. It is also where we give affirmations, do team building, play board games, and talk about topics of interest. Tuesday- Study significant figures in history most recently we talked about the Jubilee Singers and how they helped keep Fisk University in Nashville open. I try to choose people from different communities that students in my class can directly identify with. I back my conversations with some kind of supporting text. Wednesday- Board Games/Snap Circuits I use board games to facilitate play and collaboration. I like to play calm music in the background- kids are awesome with this especially when it’s part of their routine! At the end of each meeting we stand in a circle and say H-U-A. I emphasize the importance of a circle because I want students to feel that we are all equal to each other and as a classroom we cannot function unless we are all doing our part, students and teachers alike. Once in that proper circle I or a student will say, “HUA stands for”… and the others will reply, “Heard, Understood, Acknowledged.” and then the leader will say, “1 HUA on the count of 3” and they all pump their fists in and out and say “HUA” really loud. By taking 30 minutes out of my day, everyday I am able to instill so many important life lessons and set some good intentions for the day. At the end of the year I ask each one of my students to write a letter to all of their classmates (the 18 in morning meeting). Every student will receive 18 letters saying what that person meant to them. They walk away with a book at the end of the year saying what they meant to each other. This activity has always been very affirming and positive. It solidifies the relationships that have been built throughout the year. I love having these little traditions and I know I am not the only teacher that cares about fostering positive relationships so I know there are SO many more epicly cool things I could do in my classroom to make my kids feel loved and supported. I think at the end of the day I will always feel I could have done more, but do you know what I think my students see everyday? I think they see whether or not you tried your best to be your best that day. Relationships matter because they are the building blocks to everything else we will do in life. Even if we feel our relationship with our students is short (a semester or a year), we still have have students for a season of their lives! Let’s make that time count. Because you could be the teacher that changes everything for them. Makes them see themselves in a whole new way. Makes them think they can when no one else does. We have to focus on the simple things, relationships as Rita says. No matter how much time, commitment, and sacrifice it takes. I promise you when a student is struggling the relationship is what will help you and them through that time. In late September I attended an event at the North Carolina Museum of Natural Sciences. It was a Sciren Triangle for Educators event. I heard about it through social media and decided it would be a good way to network and learn about different opportunities in the field of Science. That night I connected with many people but there was one group in particular that stood out the most to me. The Biomedical Engineering Group from NCSU. They brought a 3D printer with them to the event and explained how they use 3D modeling to help innovate solutions in the medical field. I was immediately interested in their work but wasn’t quite sure how it would tie into 4th grade curriculum. I only knew that they seemed very open to working with us in some way. We thought of ways we could connect this work to the curriculum we are held accountable for. So beginning with the end in mind we started drafting up possible ways to incorporate the Biomedical Engineering Lab into our work with 4th grade. What did we want our students to get out of this project? As an educator all of these outcomes were important to me. Each outcome was proven to be attainable and was achievable in the way that we incorporated community and our use of Tinkercad. In January of this year when we began actually implementing the project, I felt uncertain at the start about how things would go. I myself was not an experienced Tinkercad user. I have never had to toil with 2D or 3D modeling. But I dove right in anyway. I used graph paper to have students look at a 3D cone and try to determine how to draw a 3D cone on a 2D plane using “front” “back” and “side” views of the cone. Immediately students were interested because this wasn’t like an experience they had ever had before. It was certainly a challenging and growing experience right from the start. But the outcome of the project was fantastic. In the curriculum I am working on I will further explain how to start the planning process all the way until reaching the culminating event for the project. The fear that we feel as teachers to take risks stems from our greater desire to be perfect. But if we want to model lifelong learning we have to be willing to take risks with and in front of our students. Our failures and our learnings don’t make us worse teachers, they make us more human. We teach children to fail forward when we fail. I’ve said it before and I’ll say it again, we won’t learn unless we try. So take risks, be brave, and get your kids excited! Happy 2019. I know I am late in this greeting, but even so I hope that the year has started off smoothly for you. At the beginning of the year like many I set a list of goals for the year. So that when I reflect back on the 2019 I can think through what I have accomplished and how I have grown in measurable ways. This 2018-2019 school year I set out to do something awesome which was to explain the brand that Exploris has. In addition to that, I set out to understand my own brand. What drives me to wake up in the morning and go to work? Beyond answering those questions, my goals this year have been to inspire vision in my students and to expose them to engineering tasks to create a classroom of problem solvers and risk takers. I also wanted to connect my students to different members in the community to bring learning to life in a new way. I believe that I am doing that. I believe I am doing a great job of it, in fact. I have not however, helped explain this mentality about teaching to many other people (teachers) at this point. My goal in the coming weeks is to do my best to articulate how being a Kenan Fellow has influenced my career by further developing an essay on my philosophy, as well as continue to develop a portion of my curriculum. So how has being a Kenan Fellow impacted my career? For starters, having the Kenan Fellow brand attached to my name has helped me to be more assertive. Within my own classroom, amongst my staff, and the teaching community at large. “Assertive” not in a mean or aggressive way, but in a way that makes my messaging clear and helps me present it with a vision. Being part of the Kenan Fellow brand that has helped me believe in my own message. It has empowered me by seeing myself as a teacher who has a voice that is worthy of being heard. The way I see it, I do not do things for recognition, or awards, or prizes. In fact, I shocked myself by even applying to become a Kenan Fellow. It’s important that others do not see this as an opportunity for me to gloat or seek praise that I am not worthy of. Rather, I hope to continue to build relationships with teachers in my school and my community and encourage them to try new things alongside of me. I also want to empower teachers who maybe don’t share in the Kenan Fellow name to know that they too have a voice worthy of being heard. Because we spend our souls on loving and supporting our students we truly are the experts in our classrooms. However, this does not mean we are the experts in every field. Which is why I have worked hard this year to create partnerships with community members who can add a new perspective to my teaching approach and expose my students to new ideas. I believe other teachers can do this too! I want teachers to understand they already have the toolkit they will need to plan and design curriculum that propels our students into the unknown future. So that in turn they will equip their students with the knowledge they will need and also the skills they must have to be successful. I believe more than instilling intelligence we must help our students develop resilience, grit, patience, discipline, respect, reflection, and a collaborative mentality. Being a Kenan Fellow has made me more assertive, passionate, empowered, and has helped me understand the need for community connection. While I consider myself to be a master teacher, I am not a geologist, a chef, an architect, an engineer, a doctor, an astronaut and as much as I can set out to learn what they all do, there is nothing more authentic than creating space in the classroom for teachers and community to come together to empower the next generation. I believe in myself in a whole new way and I hope by sharing some of what I’ve been doing with my students this year I will inspire another teacher to try something new. While I know there will continue to be learning outcomes over time as I continue through this process I am excited to start sharing more about what this experience has meant to me. Sometimes, when you’re living in the present it’s hard to process and see all the ways that you are growing. But, at this point in the school year. I’m finally ready to start sharing what this has meant to me. Last Friday I had the opportunity to participate as a panelist at the Business and Education Round Table thanks to Caterpillar, INC. The discussion will be featured in the October issue of Business North Carolina. It was a true honor to connect with like minded people who care and have also found ways to bridge the gap between the world of business and education. As well as three Enloe High School students. The flow of the conversation was as such; the high school students were invited to speak first about the value of internships and opportunities to connect with business, followed by the opportunity for each one of the panel members to speak and talk about current programs that their company are creating or are taking advantage of. I shared about Exploris and Kenan Fellows (Caterpillar). Both are models for the community in terms of creating partnerships to improve the rigor and relevance of classroom instruction. I was proud to be an educator in this discussion representing these two “brands”. When preparing for the round table discussion I was fearful. I felt too small to be valued. After all, I’m just one teacher, in one classroom in North Carolina. But in a call preparing for the discussion with my mentor, Annette, she told me that I am flexible, intelligent, and have a voice worthy of being heard. That was the encouragement I needed to enter this discussion open and willing to share my story. Moving forward I hope to empower others to use their voices to advocate on behalf of students. I also hope to share more widely why internships in industry are valuable for every person, in any profession. Overall, the tone of the discussion was encouraging. Every person in the room has taken active steps to play a supporting role for educators across NC. For that I am truly grateful. While I know there is no cookie cutter answer I believe the main thing we all must do is take active steps towards developing programs for schools. If you are saying, “I care, I just don’t know how to get involved.” The first step to accomplishing anything is by taking a step. Take yours today, don’t wait to make the difference. You never know whom you will inspire. The next president, CEO, general, barista, engineer, architect, or doctor. Don’t wait. Take a step. Reach out. Make a difference. I have had about two weeks now to process my time at Caterpillar. It was far and beyond any experience I could have dreamt up for myself. If you had told me a few years ago that I would spend a summer working at Caterpillar at any point in my life I wouldn’t have believed you, and I might have even laughed at you. Interestingly enough, now that I have spent a summer working at CAT I am the one being laughed at for saying I did. At least initially. “Well why would you do that?” “What did you even do there?” “How does that add value to teaching?” Are just a few examples of questions I have been asked recently. I get it, it’s not an expected answer for how I could have spent my summer. But certainly a worthy way of spending my time. Usually after a conversation people better understand why this opportunity was so important to me. And since I cannot individually address all of the interwebs I turn to blogging and hope that this will address what a summer in industry did for me and why I wish it for so many more educators. I also hope to pay tribute to those who I met with in my final two weeks at Caterpillar. Ever since I was 9 years old I wanted to be a teacher and the more life I experienced, only reinforced that teaching was the perfect fit for me. All the classes I took prepared me to understand best teaching practice and to build a strong philosophy on what learning should look like and feel like in the classroom for each content area. And while I firmly believe that NC State has an INCREDIBLE teaching program I also know that I only briefly explored concepts of engineering and science. I didn’t deeply plunge into any topic in particular. High school was no different nor any part of my educational career. I was on the path to become a teacher and everything I did and saw was from that lens. Because of this I missed so much. I didn’t understand how exposure to different concepts would be beneficial to me as an educator. After all, I would only be teaching elementary school and that can’t be that hard right?! It is not to say that I went through school thinking none of what I was learning had add-value. It’s just the WHY wasn’t made clear to me. I learned curriculum and content, but I didn’t understand the inter-connectedness between what I was learning in class and how it translated to the real-world and for that matter into my future classroom. I couldn’t see how chemistry could connect to what I would be doing with fourth graders or how calculus had a function in my life. If you didn’t catch that pun, I recommend re-reading the last line. I think I felt like a lot of other people did about school. I like many others was learning to pass a test, but I wasn’t learning to make meaningful connections. I didn’t understand why content was relevant and because so much of that WHY was missing for me. I missed out. Between 4 years of teaching at Exploris, a little more life experience, and Kenan Fellows I have learned that there is a lot of value in having a broad knowledge base to pull from. Exposure to different concepts only creates a more wholesome view of the world and contributes to implementing meaningful curriculum in the classroom. Because school for me was taught through a lens of becoming a teacher and only really needing to know what a teacher does. I didn’t get a picture of what it must be like to work in different fields of industry or why what I was learning was important. Alright, the last one is a joke… but a real answer that teachers give. It isn’t good enough to have an answer. We must have a context for our answer, we should be able to back our answer up. As educators we need to look for the deeper connections whenever possible. To bring learning to life and help students understand the relationship between what they are doing now and their future career. Prior to this summer I had no experience working in industry, driving machines, being in shipload meetings, meeting with a VP, talking to folks in marketing, or talking about how to improve a design to better serve a customer. All of this was NEW! I didn’t take business classes, or know about welding or the blue collar workforce. These are only things I had heard of, but didn’t “know” about. I didn’t understand the value of each of these jobs and how they contribute to making a more beautiful and productive world. My view of the world was skewed and limited by my exposure and experiences. In the US one thing that connects almost all of us is that we all had exposure and experiences in education. So while there are many “experts” in my field, there are few teachers who are “experts” of others fields. It is hard to address the WHY without meaningful experiences like the one I had this summer. We need good teachers who understand best practice and the philosophy behind what a classroom should look and feel like depending on the content area. But we also need teachers with a broader view and understanding of the world that they are preparing kids to go out and be a part of. I’ll say it again but just change the pronoun, OUR, knowledge is limited and skewed based on our exposure and experiences. I cannot create meaningful contexts without creating community partnerships and connections. I need Caterpillar and other local businesses to create that WHY everyday for my students. I want them to gain insight into what goes on out there in the real world and from more than just behind a screen. There is nothing better than getting out there and seeing and doing things for yourself. A summer at CAT as a Kenan Fellow helped me to expand my network. Each week I have concluded my blog with a list of names of people whom I interacted with. Many of which I anticipate I could reach back out to and ask for their assistance in implementing lessons in my classroom. This network will be invaluable to me moving forward as I work towards become a better educator. In my third week at CAT I got to participate in a WIN STEM Day alongside 13, 9th Grade Girls. I thoroughly enjoyed the opportunity to connect with students whom I do not directly work with and to hear about their experience in education thus far and what I can do to become a better educator. It also provided me the opportunity to connect with Caterpillar employees who extremely passionate about expanding STEM education in their communities. I am excited by this new network of individuals I have to call upon. As mentioned above I had limited knowledge due to lack of exposure to industry. I did not know what kinds of things took place in a workplace such as Caterpillar. I now having a clearer picture of what it looks like to work in industry and while I do not claim to be an expert, I feel more comfortable to incorporate new things in my classroom because of this summer. Each week I was at CAT I left with a new set of ideas for implementation in my classroom. These ideas would not have been born if it weren’t for this opportunity with Caterpillar. It has given me ideas on how to address the WHY, where to go with my curriculum, and what a future career could look like for me. It has given me some ideas to ponder that I am really excited about. This is the final point I want to make for this blog post. Having this experience has given me permission. It has given me permission to take risks. It has given me permission to dare to spend my summer differently. It has given me permission to continue to pursue my love of learning. It have given me permission to be bold. It has given me permission to be a leader of students and teachers. It has given me permission to believe I can be more than just a teacher. And while maybe I didn’t need to be given permission to do any of these things, it sure feels good to be empowered to. So thank you Caterpillar for providing me with a summer in industry. I hope this is only the beginning of my story working with and alongside of you all. Posted on August 13, 2018 Leave a comment on What Did A Summer In Industry Do For Me? I heard someone recently say, “if you’re the smartest person in the room, it might be time to change what you are doing.” Unfortunately, I have interacted with so many people lately that I cannot recall who said it to me, but it resonated with me. Working at Caterpillar has been one of the most rigorous and intellectually challenging experiences in my life. This is a compliment to the knowledge of employees I have been surrounded by, the complexity of the information being processed, and the rigor involved in producing a quality product. When I’m at CAT I have to remind myself that I too am a bright and capable person just not in many of these areas. Since arriving at CAT most conversations I am involved in, I have been totally unequipped to productively contribute in. This is based on my exposure and my experience prior to starting with CAT. I’m not saying all this to get affirmation or to hear from any of my readers comments like, “No Annah, you are so smart.” Or “No Annah, you are so bright.” That is not why this is included here, I have chosen to include this because I have been truly grateful and humbled to encounter so many patient and articulate employees at CAT. Countless people have donated their time to let me into their lives and their working environment. Explaining what they do and how it intricately intertwines with the work that the other employees do within Building Construction Products (BCP) Division. All of them between Clayton, Sanford, and Cary. It’s humbling being in a room of bright, passionate, and intelligent people. To be honest throughout this process it has even been intimidating to me. And while I know that I am missing a great deal of the information being, I’ll say “thrown” at me there is just as much steadily starting to absorb with each passing day and with that ideas are starting to generate in my mind for my fellowship. I imagine this feeling of being intimidated, less than, or unequipped is shared amongst the students whom I teach or for a person beginning in a new position in any company. I think it is easy to forget the time before the things you know now and all the steps it took to arrive “here”. Things take time. So don’t worry about being the smartest and if you think you are, then find a different room because we all have a lot to learn and a long way to go! I went on a second and third safety hop this week with Emma and David. I really enjoy this process and talking about ways to improve safety for employees. A quick side tangent… Last week I spent some time in the torque lab with Jason and got to feel the torque of some of the tools. It would be SO easy to injure yourself using this equipment. Jason, showed me the proper posture to reduce strain on my shoulders, how to grip it, and hold it to minimize risk for injury. Since there is change over on assembly and people rotate their positions frequently it makes training and Safety HOPS even more essential! 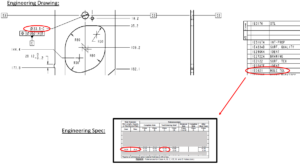 It presents an opportunity to have an employees process analyzed and reviewed to ensure best practice is being utilized when assembling the part. In typical Caterpillar fashion I wanted to begin this blog post with talking about spotlights on safety. I got to meet many wonderful people in Quality last week. I enjoyed learning about the process of investigation and determining where and how each issue is happening. The more important message emphasized was understanding how to determine the root cause to actively take steps to ensure that quality is a priority. There are many quality checks taking place during engineering, assembly, prior to machines leaving the plant, and even when they are in the field. Quality has many layers. Part of Caterpillars core values is Quality. It is essential to the company to ensure that costumers are getting a high quality product and that it is upholding the CAT brand throughout it’s lifespan. Alright… this isn’t totally accurate in that maybe I exaggerated the frequency of use of acronyms, but this is most certainly how many conversations feel to my untrained ears. I have spent a great deal of time trying to catch up in the conversations I have participated in. By the time I process and remember what the acronym means I have missed several more details and sometimes questions I am being directly asked. I know this might sound like I am complaining, but I am not. I am saying this because it has reminded me of a few important lessons. Pause to check if the people you are conversing with are understanding what you are saying. Use verbal and non-verbal clues to ensure their understanding of the message. Don’t take what you know now for granted, be patient and kind in teaching those around you what you know. This is how students/supplies/customers/new employees probably feel about 50% of the time. The first exposure to new vocabulary or content can be challenging. It takes multiple exposures to vocabulary for comfort to grow. This is why it is also important to connect vocabulary or acronyms with application/experience. I have been more likely to retain an acronym when I have directly interacted with it. For example; the acronym (CN), Change Notice, which happens in engineering when reworking a design and the protocol for notifying the proper channels about the change (suppliers, assembly, quality, etc). I am comfortable with this acronym because of my experiences learning about it. When it is used now in conversations I am right their with them, but prior to that I was not. In corporate settings acronyms come up in almost every conversation. It is what I like to think of as corporate jargon. Every company will have their own, this is even true in teaching. When you first start at a company or even when you are well established within a company you have to be willing to ask questions or you might miss something. Acronyms is one example of things you cannot be too shy to ask about. People who have been in this field, at CAT for a long period of time take for granted this knowledge. It is essential when you do not understand that you ask. It helps provide the further information that you need. If you do not ask what these acronyms mean there is a good chance you are missing the purpose of the conversation or how this component of what CAT does connects to everything else. There is also a good chance that someone around you is also just as confused as you are! So ask! One thing that has been iterated and reiterated to me over and over again since coming to CAT is that not everything is going to be easy. CAT values personal growth and encourages ownership. Employees are encouraged to do hard things. Not to shy away from taking APPROPRIATE risks in the working environment. The key thing here is that CAT doesn’t want employees taking off the cuff risks because that could interfere with safety, quality, etc. But what they do want to see happening is people stepping into new and challenging roles. Kenan Fellows has presented me with the opportunity to do something that is hard for me personally. I find the interactions easy, but the content challenging. In one of my first blog posts I talked about taking small steps outside of your comfort zone and slowly your zone of comfort expands. Everyday mine is growing and my capacity to take more risks, and ask more questions is developing me as a teacher and as a leader. I appreciate that CAT values encouraging their employees to do hard things and that it is a safe environment for employees to take appropriate risks. So picture this you’re driving your car down the highway and all of a sudden the car in front of you starts to break. You hit your breaks and your breaks do not react quickly enough to cause you to slow down, therefore you hit the person in front of you. (Just to clarify; No one is injured in the creation of this example…) Now imagine, the same scenario taking place you come to a quick stop and the reaction time is accurate and it allows you to avoid any conflict with the surrounding vehicles. What causes that to happen? Did you know that someone spends time assessing what would be best suited for the operator? It’s truthfully why we all have preferences about the cars we drive, the way it feels when we turn the wheel how quickly it jerks, or when we accelerate how quickly that acceleration takes place. This all is tuned by an engineer. I thoroughly enjoyed the opportunity to do this on a skid steer machine with two members of Gareth’s team; Christian and Daniel. I learned about the range of variability and how to set the controls to suit my needs. But let’s be honest anything that gets me out in the field I enjoy! I love being hands on and getting to not just talk but do things! This was a great experience. Quick shoutout to CAT for trusting me to operate your machinery and if you happen to notice a torn up patch of grass near Sanford… it was Daniel and Christian. CAT is an incredible company. If anyone got to see what I do they would want to buy from CAT and only CAT. The CAT culture, quality, and care for the product is amazing. A lot of questions that arose for me last week were how this awesomeness was being communicated in the retail experience. How do we help customers know that you guys aren’t just building a product, but people and opportunities as well? I hope that Caterpillar won’t be so quiet or shy to share what makes you all so great in the retail setting! If I had a yard, or even just a pile of dirt I could move around I would purchase a machine in a heartbeat just to say I was a CAT customer. So thank you for being who you say you are. For being an authentic brand. Before I get into my ideas for lessons I want to do my weekly shoutouts to everyone whom I interacted with. If you are not listed here, my apologies. No matter how big or small the interaction I value you sharing your time and energy with me. Last week I talked about planning and designing a lesson around Assembly. This week I learned how I could improve my Assembly Idea. When meeting with Jason Sage, HR for BCP (Building Construction Parts), he recommended that I ensure that standard work is part of the lesson/unit as well as simulated work environments. I hope to read more on simulated work environments to incorporate this into my plans. Another interesting idea came from my meeting with Lexi Rudolph who works in Communication and increases programs for community for CAT was to help students connect with companies and come up with a business plan or strategy. Students could consider how they could improve a companies marketing, what would their design/logo look like, how would they go about creating a strategy to improve profit for a local company. Business Plans could also mean students having an opportunity to partner with a local organization to submit a press release, media alert, and what it would look like to make to maintain positive relationships with customers. I would like to expose students to writing resumes. 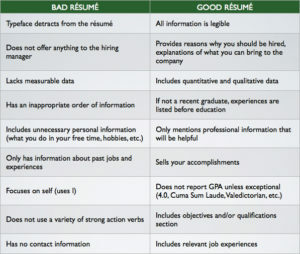 Below I have found some criteria for creating a quality resume. I would be interested on gaining more feedback here. A tool that I currently use for building resumes is canva.com, but you have any other recommendations please reach out to me on tools I could use with my students. Again, any recommendations are welcome here! Thank you to Angie from Gareth’s team for providing this resource to me. I hope to create some connections between engineering drawings and geometry as well as including this in the assembly process. What should things look like to ensure quality. How can we create specs so that it is consistent across all machines/components. Before I say anything I want to start of by saying thank you. Thank you for a programs like Kenan Fellows, thank you to Caterpillar for making this leap, and thank you for allowing ME, Annah Riedel, to do this. Before I started my time at Caterpillar I sat down to create a vision about what I hoped to accomplish in my time at CAT. This vision has helped me maximize my time with each person I have met with thus far. Having a consistent, clear plan for how I will go about forming relationships and asking questions has to helped me approach this new and challenging situation with the right heart. As you continue to read you can see my hopes and questions I have been addressing with all employees I have made contact with. What do I hope to accomplish in my time at Caterpillar? I hope that I am able to capture what CAT does as a company through my fellowship. I hope to gain insight around what practical skills are needed in each position. I hope to learn about the sustainability initiatives and the work to get girls more invested in STEM careers. I hope to leave with ideas on how I can tie this into 4th grade curriculum. I hope to understand if there is anything I can do to help Caterpillar expand it’s programs in early education. I hope to build relationships with people at Caterpillar that I can call upon throughout the duration of my fellowship to help make the upcoming year an amazing year of exposure of STEM ed to my students. When meeting Caterpillar staff/mentors what are some questions I might ask? What pieces in your education do you think were critical for leading you to your current line of work? What are the skills you have had to learn do develop over time? What are some skills that you were equipped with in school that you would say are not applicable in the workforce? Can you tell me about your favorite teacher? What about that teacher/experience makes it memorable? Tell me something you like about Caterpillar. Think back to when you were a kid in 4th grade (no matter how long ago it was), what is something you would have loved to have done in 4th grade? Are there any specific trade skills you think should still be taught in school? Now that you have a concept of my hopes, visions, and questions I would like to share more about my first week with CAT. Instead of giving a play by play of my week I will summarize some of the key messages I heard throughout my first week. It was apparent to me upon entering the CAT facility in Sanford on Monday that safety was imperative to Caterpillar’s mission. Michael Bastin, a Visitor & Training Center Manager was the first to talk me about safety in my time at CAT. Some things CAT does to keep it’s employees safe is continuously reviewing safety protocols. Even for a short term “employee” like myself safety is a priority. In addition, all employees look out for one another. When employees see someone not abiding by safety norms they are quick to remind one another of safety protocols. Some examples include; wearing steel toes, safety glasses, and ear protection. At each new site I visited (Clayton, CMDC, Sanford) these safety protocols were reiterated to me as well as other employees. Safety is the first priority for Caterpillar as a company. However, safety goes beyond just wearing the correct protection, it also extends into health and wellness as well as ergonomics. Caterpillar believes that if work stations are comfortable that employees will be more productive and are more likely to do quality work. Think about your work environment? Is it perfect? Are all conditions exactly they need to be to have maximum productivity? The chances are your answer is no. So Caterpillar decided to do more than just have a “suggestion box” that goes unanswered or unheard. Instead they instated a Continuous Improvement Plan. On all job sites you will see a board posted where ALL employees can voice concerns and suggestions for improving their working environment. Once a card is submitted an admin is assigned to finding a solution to the problem/idea listed. A card or a “case” cannot be closed until a solution has been provided and the person whom submitted the card signs off on the solution. With this Continuous Improvement Plan there is accountability and employees are empowered to improve the quality of their working environment. I really appreciated this approach. Employees should feel empowered and valued in their work environment. In my beginning years of teaching my mantra has been, “Be the change you wish to see in the world.”- Mahatma Gandhi To me Caterpillar’s mission and vision aligns well with my own. I like that Caterpillar is doing more than building machines, but they truly believe that their contributions are making the world a better place. This goes beyond just building machinery for the community. It also extends through the programs taking place globally as well as locally; such as, the Apprenticeship programs, and Internships. By conducting interviews with several employees there were a few emerging trends. I would like to share some of those. Effective Communication is critical. All departments and divisions must work hard to ensure that communication is strong. Employee Development is essential. Not every employee will be able to recognize their own strengths. If you are a manager it is important to understand your employees strengths and help them to their maximize potential and to delegate tasks to them that enable them to be successful. First impressions matter in industry! Be able to back up what you do. You should feel good about the work you produce! Do it right, and speak up if there are concerns. The best way to learn about the machines is to drive them! It was hard for be to understand all of the terminology, skid steer, excavator, back loader, and so on. It helped me to learn the different kinds of machines and their functions. This served to remind that experience is a great way to learn. When I went out for “Stick Time” I was participating with interns, new hires, and some long time employees of CAT. It was great to see several generations of employees coming together to play. The other important note to make here is these machines can be quite complex, so for every machine we tried their were two trained CAT employees to explain and ensure safety for all operators. I will remember that experiential learning is the most meaningful approach this upcoming school year. I was most impressed by the culture at CAT. Every single employee I encountered was positive, welcoming, and interested in what I was doing at Caterpillar. The hospitality was remarkable. Beyond the openness of all employees I spoke with I was also impressed by retention rate of the employees at CAT. Many of them have been there for 10-20 years. This says something about the way Caterpillar treats and empowers their employees. Additionally, many workers love and embrace the challenge of building new designs. Mike Sekulich an Engineering Manager for Small Wheel Loaders, said, “Everyday I come to work and I feel like I get to access my inner 5 year old. It’s like playing with Tonka trunks. All day long I get to figure out why things break and fix them to make them better.” I loved this, it made so much sense to me why Mike loves showing up to his job everyday. It was the same feeling I had when driving a Skid Steer for the first time during Stick Time. I like the culture at CAT and that it transcends throughout the company. On Friday, I got to attend a Leadership Impact Summit with 72 Managers across the company (Sanford, Cary, Clayton). I was surrounded by a room full of long time Caterpillar employees who came together for training from 7-4 PM on a Friday none the less! I sat in the back and played an observer role all day long. I watched how all employees were engaged, listening, learning, and asking questions. I liked that all of these managers, whom you would assume “knew it all” were coming together to improve their practices and realign their personal values to the company vision. To me this reflects well on the company that they are continually investing time back into their people. Making sure that people are energized and knowledgable about their company. I hope that all companies take the time to invest in their employees the way CAT does. Again, there were some common themes that emerged in my first week. Another one was that welding and shop class needs to be brought back to schools. There is a large gap in industry right now. Unfortunately, companies cannot fill these positions and it is becoming even more scarce with time. Schools need to continue to prepare students for the blue collar workforce and not just the white collar. While we should all want the very best for our students, we as teachers often assume that “best” means college. This is not the case, best or success should not hinge entirely on a person receiving a college degree. There are so many jobs of great importance in our society and industry that need hardworking men and women to fill. As a school system we have a responsibility to prepare and inform our students about all future career options. As of last week, I was unaware of jobs such as these. I will be doing more to educate myself on these types of jobs in the coming weeks to make sure I am able to lead by example in this area. Finally, I want to end with a few ideas for lessons/curriculum I will be writing this fall. I was most intrigued by the assembly line this week and how many components have to work conjunction to make a single machine. I am hoping to facilitate a lesson/activity about assembly line. Using concepts of the continuous improvement plan, design, and also teaching about the history of Assembly Line. I am already excited to facilitate this in my classroom! I really like how Caterpillar uses examples of operator errors as teaching tools for current employees to improve their designs and increase safety. For example, many CAT machines are used by operators incorrectly. As a result accidents have occurred where machines have completely flipped over or landed on their side. Because of CAT’s emphasis on safety many of these operators have walked away with minor or no injuries. In my classroom I think it would be interesting to have students interpret images or make inferences about what happened, why it happened, and how it can be prevented in the future. It does not necessarily need to be utilizing Caterpillar equipment as examples, and could expand to other areas like math or writing. Thank you Michael, Jamie, Sean, Lisa, Jessica, Adam, Alex, Claire, Jody, Ryan, Trevor, BJ, Eric, Patty, Rocco, Wanda, Annette, Rachael, Mike S, Gabby, Mitch, John, Melissa, Jason, Tony, Doug, Jan, Vic, Bill, Judy, Alfredo, Dante, Peter, Wendi, Kevin, Scott, Lexi, Heather, Dianne, Maggie, Teresa, Lisa, Sara, Zach, Jay, Dave, and all the names of people whom I encountered this week that I cannot remember or did not name here. Your kindness and welcome means a great deal to me! The highlight of my week may seem evident from my first two posts. What I have enjoyed most is coming together with like minded teachers. It was wonderful being able to form bonds with people with educators from across the state of North Carolina. These fellows will now become part of my long term professional learning community. That is a highlight first and foremost. Forming relationships with the 24 other 2018-2019 Fellows. I found my marigolds in the teaching profession. Forming relationships with our different Teams of people throughout the experience (Sphero groups, Scavenger Hunt, Feedback Team) I enjoyed the opportunity to collaborate with these groups in Cullowhee and I am especially excited to be part of a group of 5 educators who will support one another through this process. Forming relationships with the Steering Committee. This was incredible because all members have also been Kenan Fellows so they can totally relate to our current experience. They are filled with advice and can articulate how this program has had a direct impact on their teachers and students. Getting to hear expertise from our guest presenters and ask them questions was also really great. 2) App Smackdown. The App Smackdown meant a lot to me because it was a cool way of sharing resources and ideas rapidly. We were all able to share out several ideas in a short period of time. It felt like small pitch presentations, which I very much enjoyed. 3) EdCamp Kenan was a highlight for me because it gave me a voice in this professional development. It also allowed me to learn from the other fellows. The strongest network that we will have this year is each other. It was nice to listen to others experience and to be reminded that I am NOT alone. 4) Myers Brigg Personality Tests. Getting to take the Myers Brigg test again helped me to see how I have changed as a person and teacher. I now better understand that we have natural dispositions but with practice I can improve in certain areas. This workshop was helpful because it reminded me that everyone as a different way of communicating and thinking about things. My students and co-workers alike have different needs and the more I understand about them the better I can serve them. 5) Literacy in STEM was a workshop lead by a former Kenan Fellow, Carson. I particularly appreciated this session because it is an area I am not fluent in. I try to activate learning in literacy for STEM but finding resources and generating ideas on how to go about that is not a strength. Carson offered a few ideas like SWRL and concept circles which I will implement this coming school year. 6) Lastly, Branding a workshop lead by a former Kenan Fellow, Mark Townley. I appreciated the way Mark communicated his ideas. He is calm, enthusiastic, clear, engaging. He represents his brand. He aims to engage his students by being compassionate, relevant, and provide experiential learning. Throughout the week he lived out this brand. While I am still thinking about my own and what I want it to be I was inspired by his message. To have a brand doesn’t mean to place restrictions or confine yourself to an unrealistic expectation. Instead your brand should motivate you to aspire to something everyday with your students and co-workers. That is why I’m not sure if I have found mine yet. I want to figure out a brand that really helps me stay motivated this year. I’ll keep working. Additionally, I now feel more equipped with awesome ideas. I will surely be filtering through all of the notes, resources, presentations that I have now received for weeks to come. I cannot wait to get started on designing plans! This PD was intensive, challenging, and enlightening. It does not compare to other professional developments that I have attended in this setting. The duration and the content were intentional and useful. This professional development will have a direct impact on what I do in the classroom and how I approach STEM. In that way it has been the best PD I have attended thus far. However, I feel it is imperative that I also mention some previous PD experiences that lead me to Kenan Fellows. Last summer I had the opportunity to travel to Yellowstone for ten days with the North Carolina Museum of Natural Science. This PD addressed how to intentionally get kids out into nature and to design curriculum specifically engaging kids with the environment. In addition, I attended the international Be The Change conference in Beijing, China which helped me better understand how Design Thinking can help students make a difference in their communities. Both of these professional development experiences were incredible and pushed my career along in different ways than #18KFPD. I know when this year is done, I will feel different. Having a year long experience and becoming part of an intentional community of educators will surely grow me in ways I cannot even begin to imagine. As always I am excited for what’s in store. Day 2: You are NOT alone. So I think I’m going to like this blogging thing… I think I’m going to like it more than I should. The first two days of this PD has felt like information overload in the best possible way. While It all seems attainable there have been several points where I have been way outside of the comfort zone I worked so hard to construct in my first four years of teaching… but as mentioned yesterday I think it’s time to let it redefine itself. I also caught myself today in what I’ll call “pat on the back moments” because today I was sitting in a PD and thought to myself that idea is great… AND I’m already doing that in my classroom! When that happened today it felt a lot like receiving cool points (for the record… cool points don’t actually exist anywhere other than my mind). I created these cool points and liberally gave them to myself today when I realized I had a shared ideas with these amazing presenters called Kenan Fellows. Then it struck me… I am in the same class as they are. Duh… I am a Kenan Fellow now too. I have joined this great network of teachers set apart with a purpose to make a difference for students and for teachers. Today I realized while giving myself my 14th cool point that maybe I will truly become a leader of teachers, or maybe I already am… That feels cool. I didn’t know I had so much cool potential. All jokes and in my case “cool points” aside today was a reminder to me that I am not alone in this profession. For every cool point there was a connection built to another educator. A bridge if you will be built between one or more of us every time we said, “I like that idea too.” Or “I’m doing that in my classroom too.” It felt good, really good to hear that other educators share these same philosophies. So if I had to summarize today’s learning outcome I would have to say the greatest thing I learned today wasn’t the content specifically. Rather, it was remembering that I am not alone. There are other teachers who value Project Based Learning. There are other teachers who want to make learning relevant and meaningful. There are other teachers who want to learn effective communication to relate to their co-workers, students, and parents better. There are other teachers who are implementing Design Thinking in their classroom. There are other teachers who care about integrated curriculum. There are other teachers with challenges in their classroom who are completing unique from my own. There are other teachers who feel burnt out and deflated at times from this profession. There are the same number of teachers who have recommitted themselves to the profession and continuing to grow. There are other teachers who look to assess children on more than just test scores. There are other teachers who care about living out their brand and being authentic people to their students. There are other teachers who care about Digital Literacy and the role social media plays on our students and classrooms. There are other teachers who care about thoughtful feedback being student oriented. All of these reminders were outcomes of today’s PD. Whether intended or not, today I felt less alone. It feels great to connect with a community of teachers who share this passion for learning. Who truly believe these things listed above. We talk so much about kids needing a strong network or support group around them. Newsflash Teachers! We need the same! We can serve our students best when we have these life-giving experiences. When we have a network of people around us inspiring us to be better, we are better. If you are not part of a Professional Learning Network (#PLN.. as I learned today in the Digital Literacy session) seek one out! Find other educators who care about the same things you do! It is out there. You are not alone. Posted on June 19, 2018 Leave a comment on Day 2: You are NOT alone. My name is Annah Riedel. I teach 4th grade at The Exploris School in Raleigh, NC. In this blog I will describe my experiences as a Kenan Fellow, reflect on practices, and share resources. But where should I start on this blog? …Why not from the beginning? I was born in Cary, NC to the best parents… While that is true, I’m only kidding. Let’s start with the first day of professional development as a Kenan Fellow. Today I arrived at the beautiful NCCAT facility in Cullowhee, NC after a long drive. I walked into the main lobby and was greeted with a warm welcome, name tag, folder, and key to my OWN room (…already being treated like a queen). Shortly after I found my room, and to my surprise on each door there were posted words of wisdom. I read it and quickly ran off to our opening sessions where we were greeted by our director and put faces to many names of voices we had come to know via email quite well. We were also greeted by some incredible former Kenan Fellows. The day continued with LOTS of presentations, collaborative activities with spheros and an introduction to an app called codesnaps. Followed by conversations about best practice for lessons; where everyone had input in what makes a quality lesson. As the day progressed I realized the advice I received was extremely fitting. In just 6 hours today I could feel my mind exploding with information and inputs. Remember all those presentations I was just talking about? They introduced us to all the work we would have to do on things like… Blogs?! Calendars?! Professional Development Plans?! I had willingly signed on to do what exactly again…? Today in my state of overwhelmed-ness I had to remind myself of one thing. When you feel a little scared, overwhelmed, and out of place, YOU ARE GROWING. Right now I am at the beginning of a beautiful exponential curve. The journey of growing might not be pretty, but it will be exciting. So yes, former Kenan Fellow you are correct. And it was no mistake your words were on my door. It set the tone for how I embraced today. I open my arms to this growth and to this experience. I know if I can embrace it fully it will have a major impact on my career and even more than that… my life. So that leads me to my first blog post what do I want to gain from this experience? I want to be transformed, empowered, and to GET OUT of my comfort zone. It feels good to be a little scared and to not know how it’s all going to work out. This is a feeling I want to live a little longer because I know a year from now I will be a different teacher. This year I want to feel transformed from a beginning teacher to a teacher leader. I want to feel empowered to take risks in my classroom knowing I have a network standing behind and beside me taking similar risks. Finally, I want to feel like I am out of my comfort zone. Growth happens as you continue to take small steps outside of your zone of comfort. As you take these steps that zone steadily expands and your comfort zone redefines itself. So let’s make that comfort zone a little larger, my capacity to lead a little stronger, and my voice a little more directed. I am thankful and I am ready to do this. I cannot wait to see where this Fellowship will take me this year.